Here are some tips to get the most out of Bordeaux wine — whether you’re visiting the region itself or just pouring over the liquor store shelves. A few basics about Bordeaux can help you bluff your way through the next bow-tie tasting. 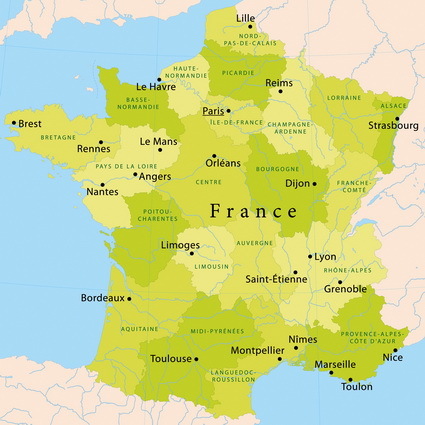 The region, about three hours southwest of Paris, is bordered by three rivers: the Gironde, the Garonne and the Dordogne. It’s divided into five districts (or appellations): Pomerol, Saint-Emilion, Graves, Sauternes and Médoc. Within each of these are more specific districts, much like those hollow wooden Russian dolls, with each doll containing a smaller doll, until you get down to the tiniest one. In Bordeaux, smaller is better because there are stricter rules about the quality of the grapes and winemaking practices. Most Bordeaux wine is red: some 88% is blended from grapes such as cabernet sauvignon, cabernet franc, merlot, petite verdot and malbec. The remaining 12% is white wine from sauvignon blanc and Semillon grapes made into dry table wine, and some sparkling wines (known as Crémant de Bordeaux) and the prized sweet wine, made from grapes affected by “noble rot.” This doesn’t refer to corrupt winemakers but to a rare and natural process that allows the grapes to rot on the vine to sweetness before they’re picked. 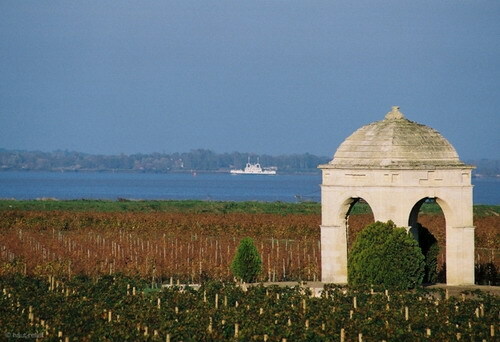 In Bordeaux, the year the wine was made matters. In a cool climate such as Bordeaux’s, some years don’t have enough sunshine to ripen the grapes or there’s too much rain, which dilutes them and produces thin wine. It’s enough to know a few good (and bad) years from the last decade. Only the most recent vintages are likely to be on the shelves anyway, since older wines are usually snapped up by connoisseurs as soon as they’re released. Recent great years are 2000, 2001, 2005 and 2010. Many of the prestigious chateaux offer “second labels,” bottlings of wine that the vintner deems unworthy of the chateau’s leading label. But that doesn’t mean they’re undrinkable plonk: The wine is made by the same winemaker from the same world-class vineyards and aged in the same oak barrels. It just doesn’t quite meet the same exacting standards. Think of it as like shopping for Gucci clothing at a discount outlet. Look for second labels from producers like Château Margaux (Pavillion Rouge), Ducru-Beaucaillou (La Croix de Beaucaillou), Château Palmer (Alter Ego de Palmer), Château Beychevelle (Amiral de Beychevelle) and L’Eglise Clinet (La Petite Eglise). Whether you’re visiting the region or just playing armchair tourist, there are several great books you may enjoy reading: Bordeaux: People, Power and Politics by Stephen Brook; The New France by Andrew Jefford; and Noble Rot by William Echikson. A number of web sites are also packed with information on the region. An excellent overview is at Bordeaux.com, run by the official Bordeaux wine council. Many tour guide operators specialize in guiding oenophiles around Bordeaux, including French Wine Explorers (877-261-1500; www.wine-tours-france.com); Jill Mitchell’s Le Trip (800-469-7819; www.letrip.org); or Ô Chateau (011-33-144-739-780; www.o-chateau.com). Knowledgeable and reputable guides can be especially helpful in getting you into the top-tier chateaux, which often only admit visitors with appointments. As with any tour operator, though, be sure to check references first. It’s easy to get to Bordeaux: both Air Canada and Air France offer flights from several major cities in Canada to Bordeaux’s Mérignac airport, via Paris. 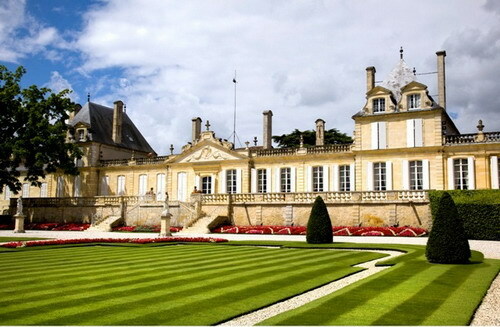 You can also fly to Paris and then take the three-hour train ride to Bordeaux. The region boasts several spectacular hotels. Three of the best are the luxurious Relais & Châteaux hotel, Château Cordeillan-Bages next door to the Château Lynch Bages winery in Pauillac (011-33-556-59-2424); the Hostellerie de Plaisance in Saint-Emilion (011-33-557-55-0755); and Les Sources de Caudalie beside the Château Smith-Haut-Lafitte winery in Pessac-Léognan (011-33-557-83-8383). This last place, a vinotherapy spa, offers I-must-have-gone-to-heaven treatments such as merlot mud wraps and “pulp friction” massages. All three have outstanding Michelin-starred restaurants.